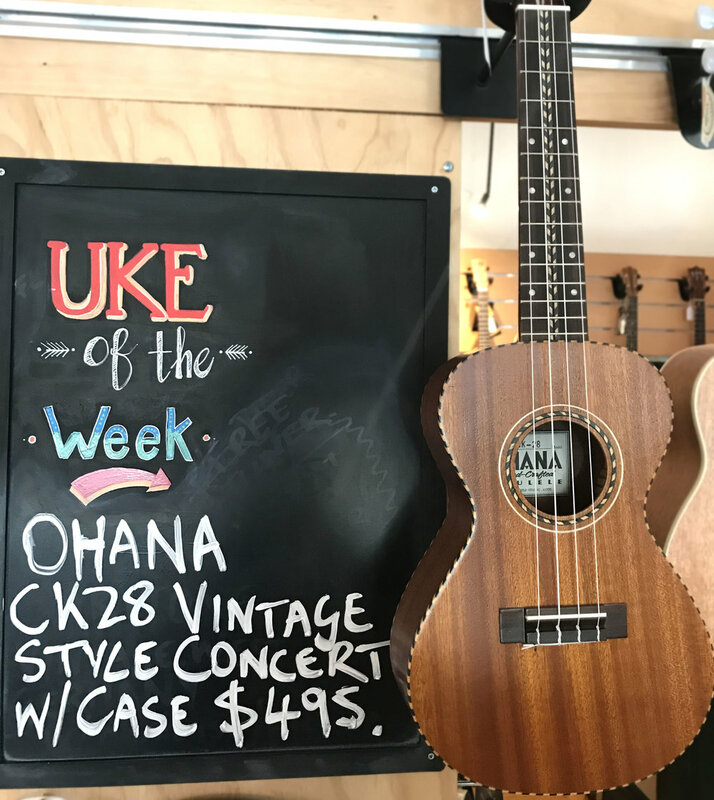 Uke of the week is an Ohana CK28 Concert. This Nunes style uke is made from all solid premium mahogany and features beautiful rope binding just like the ukes from the beginning of last century. Anyone that loves vintage style ukes (we love em here!) will appreciate the look and sound of this Ohana uke.